It’s funny how scent can evoke emotion, bring back fond memories or lift your spirits. So many times I’ve smelt someones perfume or aftershave when out and about and it takes me right back to that moment. It could be a random smell even that takes you back to a time in your childhood. The way I smell is very important to me, that might seem obvious as nobody wants to smell bad. But the perfumes I use are not throw away, they are bottles to be treasured and to turn me into the person I want to be that day. I hadn’t heard of Jo Loves before but I am of course familiar with Jo Malone MBE. When I received my beautifully packaged fragrance in the post I knew it was going to be special. 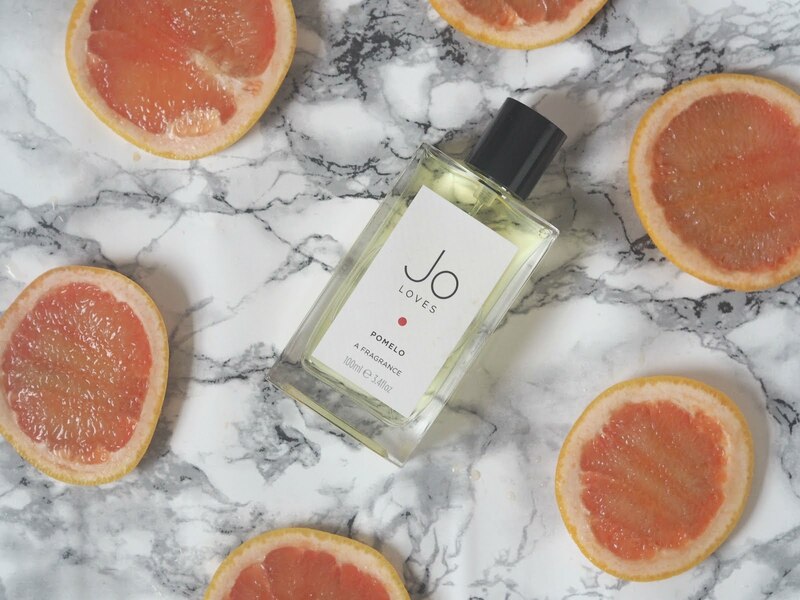 The fragrance was Pomelo which I’m told is the first and best selling fragrance from Jo Loves. This grapefruit (hi grapefruit props) based scent is like summer in a bottle. It smells so fresh and clean, like putting on new bedding or a crisp white shirt. Or that freshly cu grass smell (VETIVER is this case). You know what I’m going to say its all of these rolled into one. The great thing about this is how long lasting it is. I spray once on the wrists and then once on the neck, that’s all I need. The fragrance then seems to follow me around all day, I’ve had lots of compliments while wearing it too, although it’s quite pricey (£110 for 100ml) I’d say it is worth it as you only use a couple of sprays at a time. It’s such an unusual fragrance so if you are looking for something a little different this brand is the one for you. You’ll find your new favourite! "5 Ways to Spruce Up Your Home"